Meesh teaches Talmud and the Social Justice Track at Pardes. Originally from Washington, D.C., Meesh has a B.A. in Near Eastern and Judaic Studies from Brandeis University, and a M.A. and Ph.D. from New York University. Her dissertation explored the courageous manner in which the rabbis of the Talmud created a new criminal punishment system. In 2015, Meesh completed her studies at Beit Midrash Har’el and received ordination from Rabbi Herzl Hefter and Rabbi Daniel Sperber. Meesh is also a graduate of NATIV, Pardes, Midreshet Lindenbaum, Drisha, and ATID. She has received many fellowships including Lady Davis, National Foundation for Jewish Culture, Memorial Foundation and ATID. She has also taught at NYU, Drisha and Midreshet Lindenbaum. 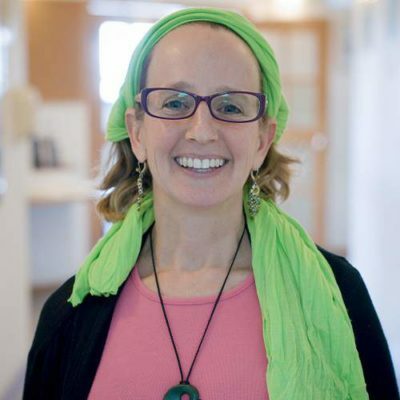 Despite having written her dissertation about criminal punishment in the Talmudic period, Meesh is known by her husband and three children as a lover of mercy and kindness. Online learning: Click here to view online learning material from Meesh on Elmad, online learning powered by Pardes.